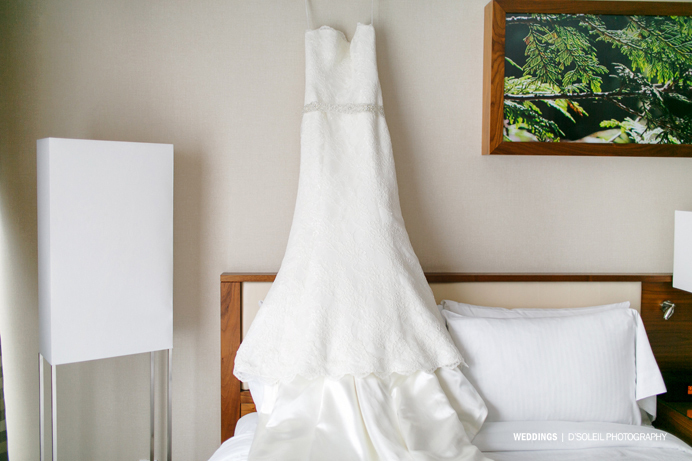 When you first meet two people in love, sometimes you know there’s chemistry between them right away – not in five minutes or an hour, or a week, you just feel that there is something that “fits” right in front of you – Such is the relationship between Karen + Warren. 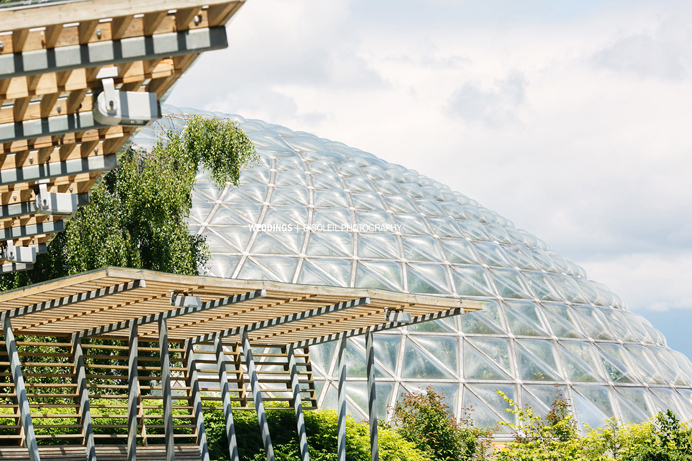 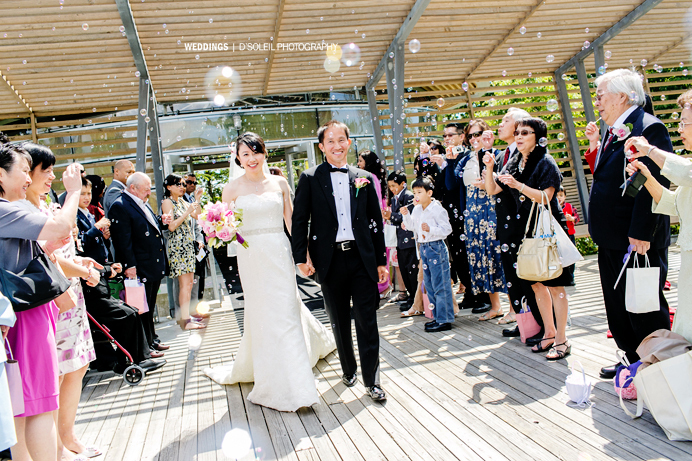 Their blind date first meeting at Granville Island may not have started off perfectly (there was a little miscommunication about where they were supposed to meet), but once they finally met, so began a beautiful journey that has led them all the way to the altar. 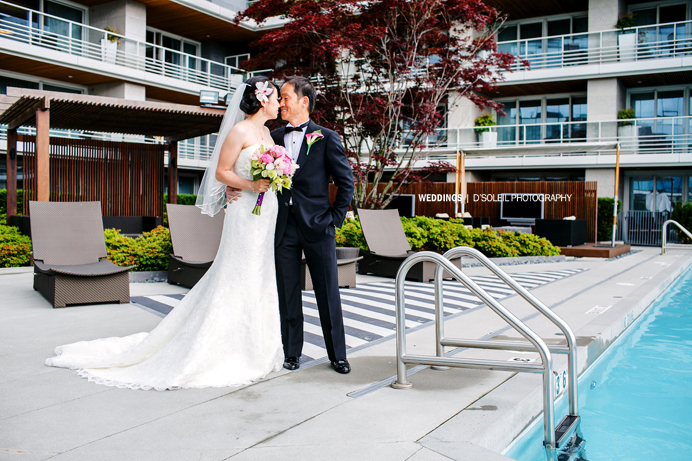 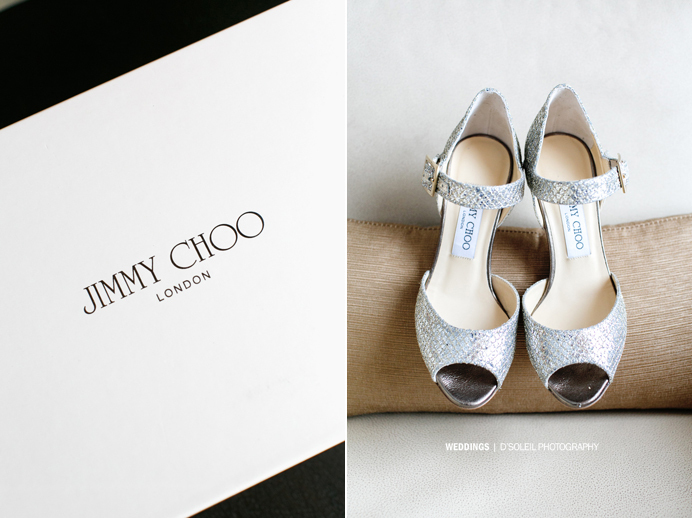 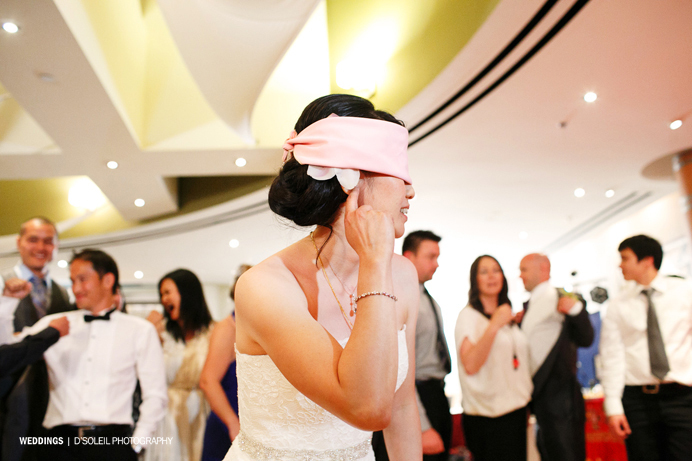 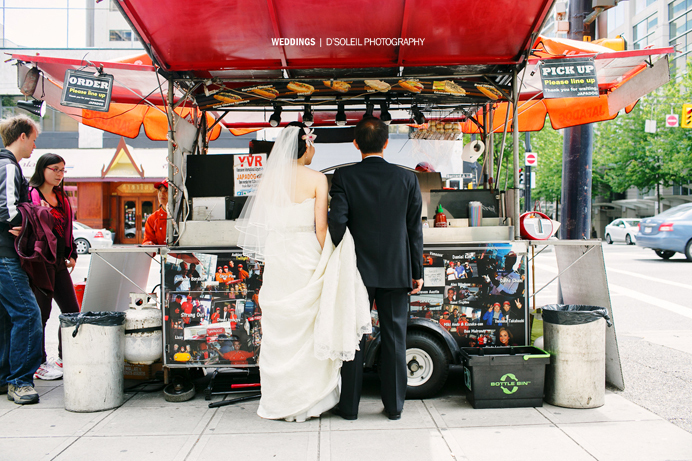 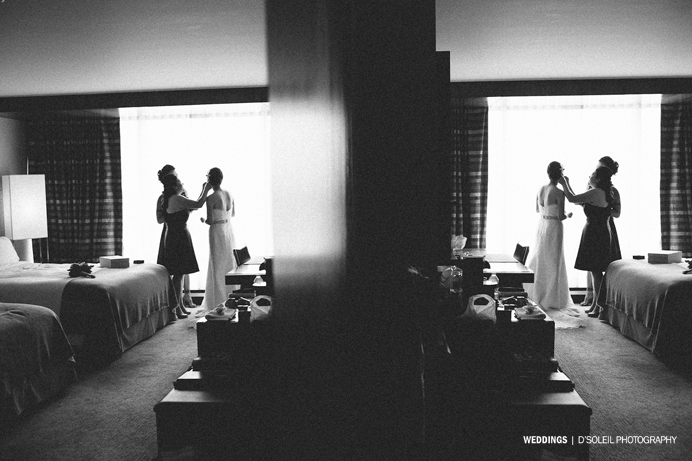 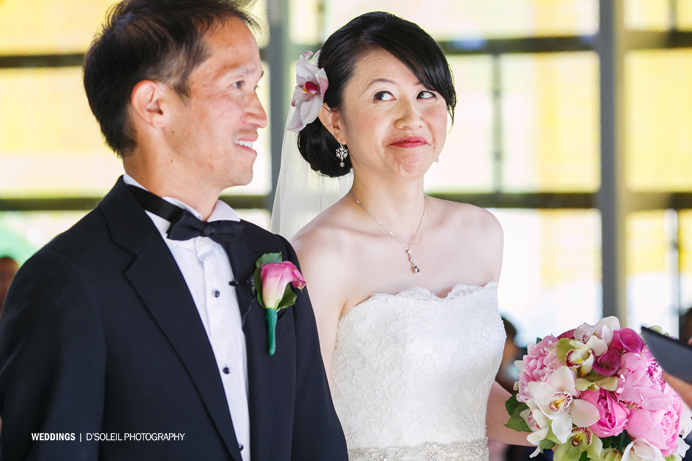 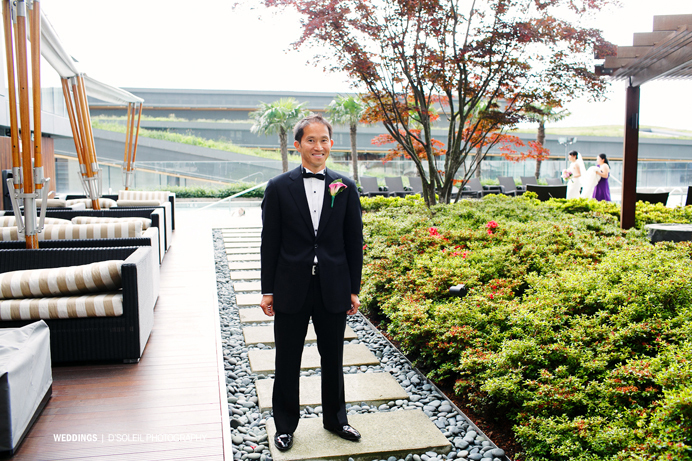 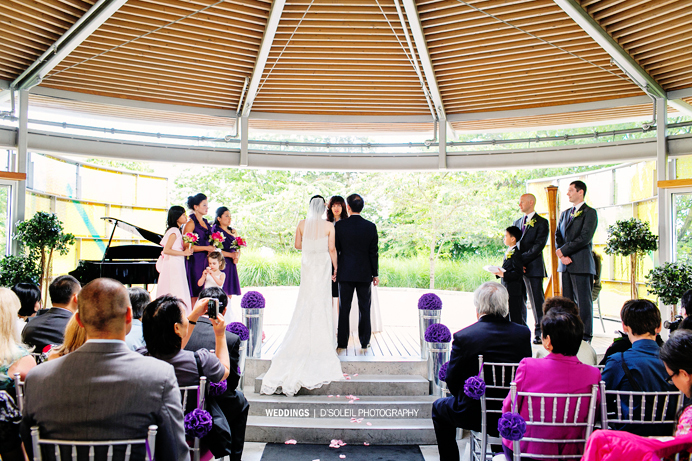 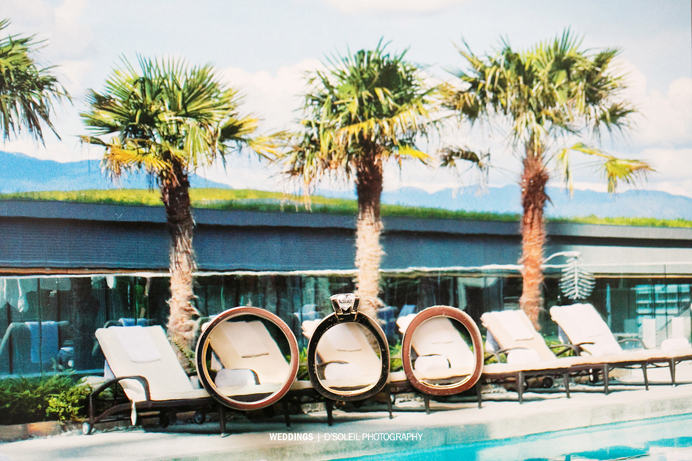 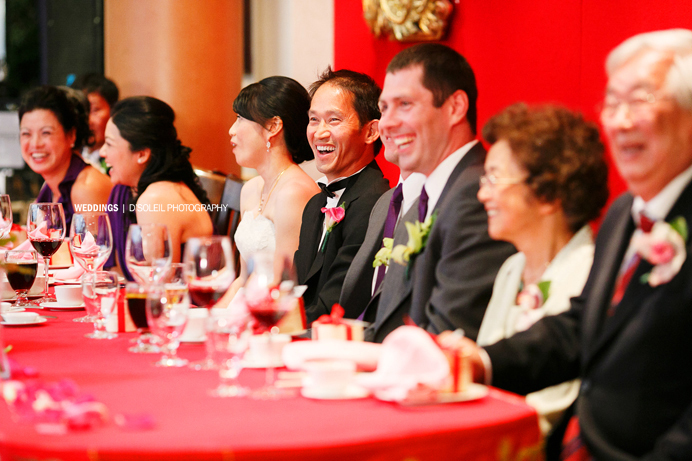 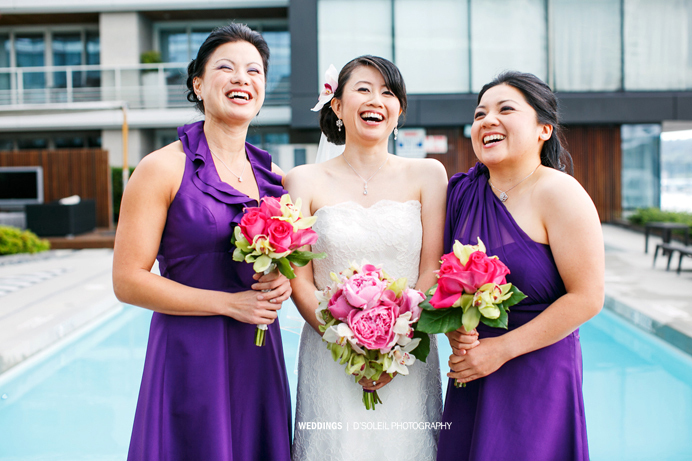 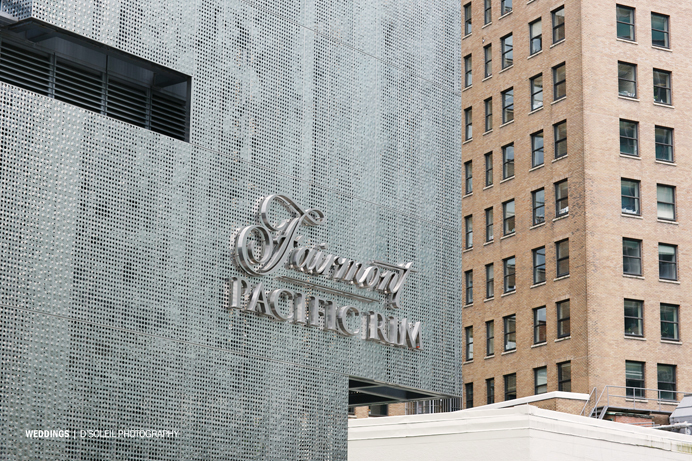 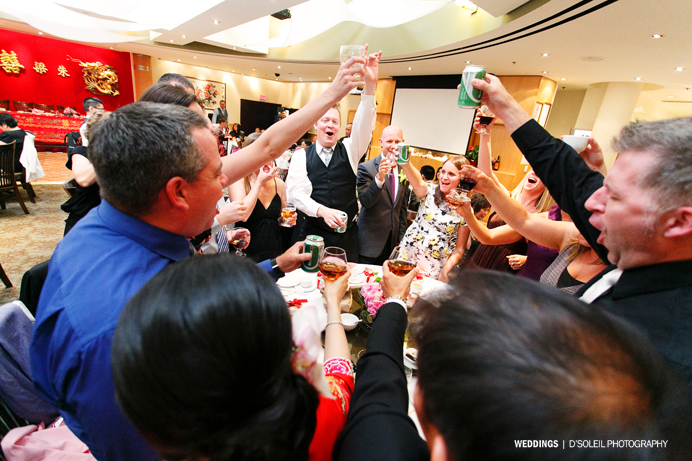 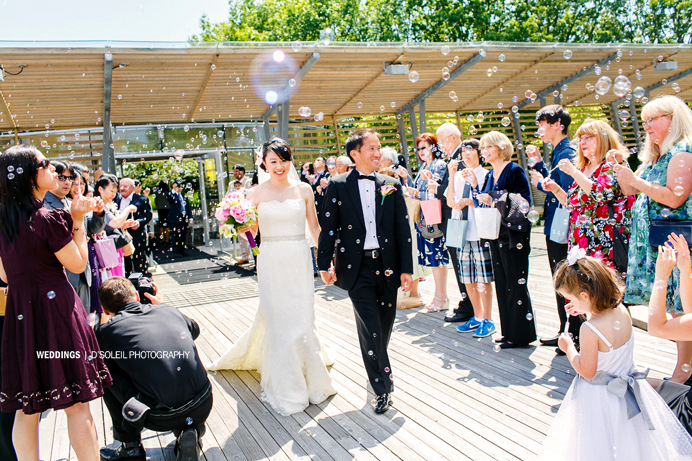 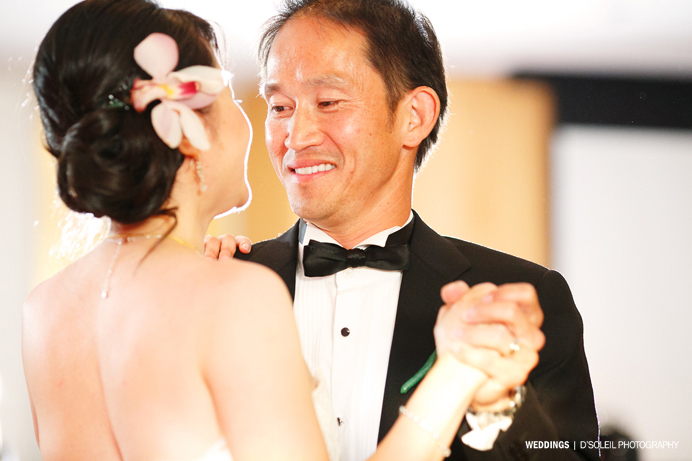 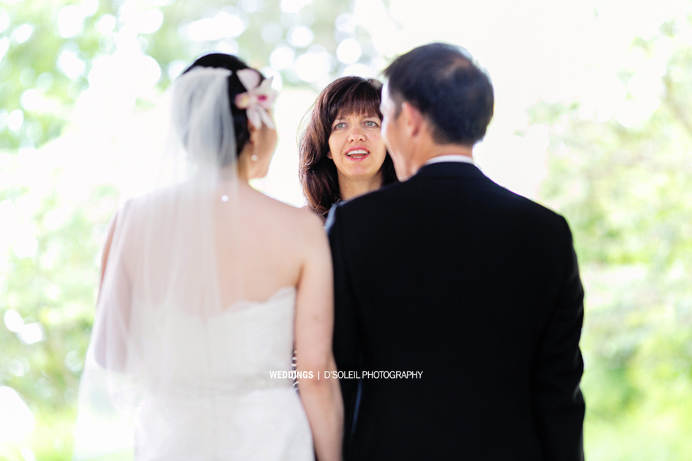 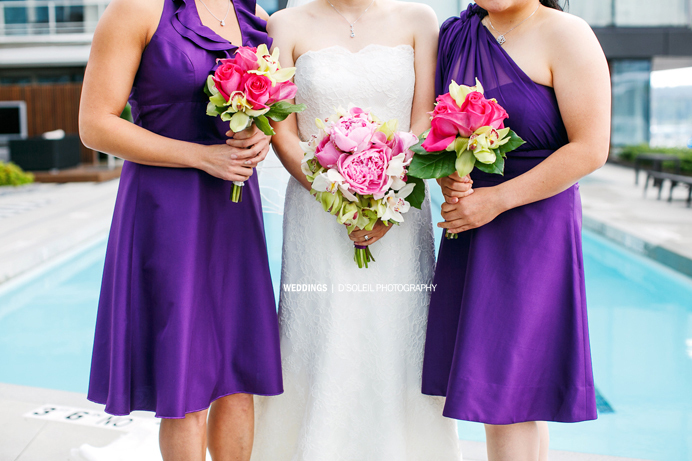 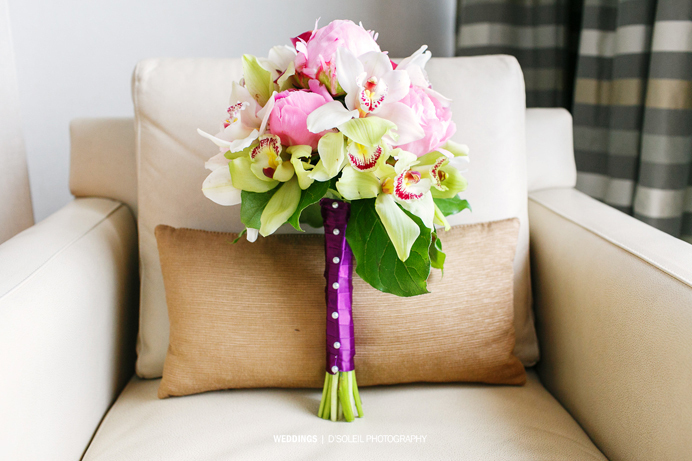 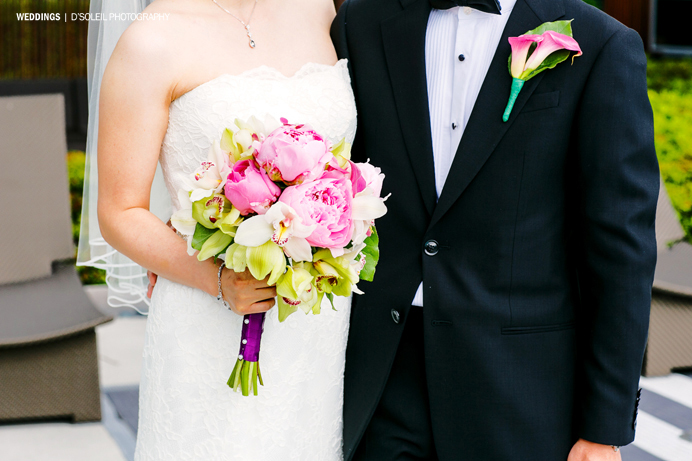 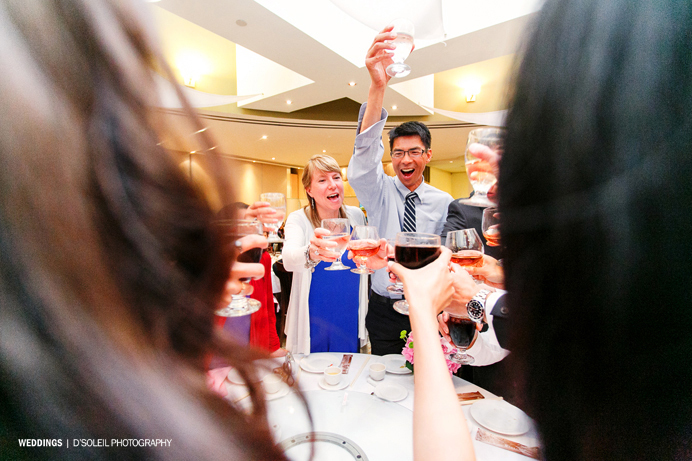 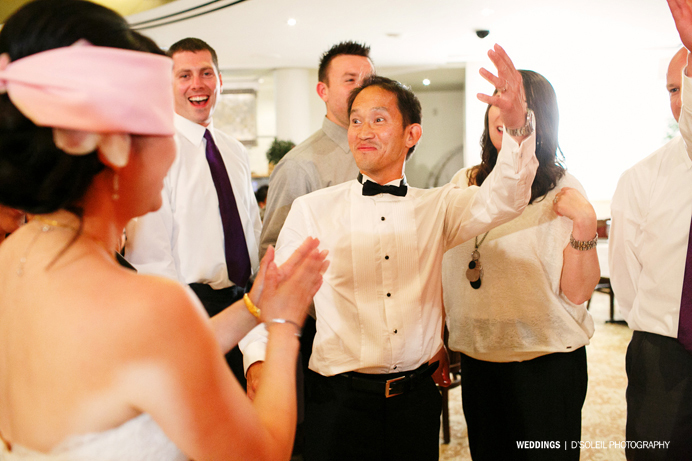 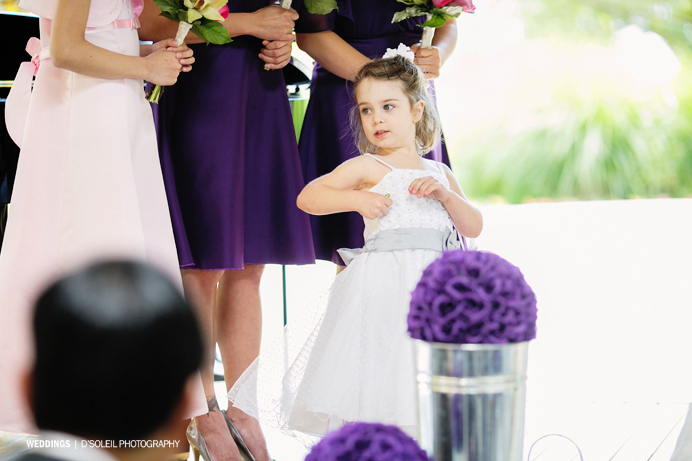 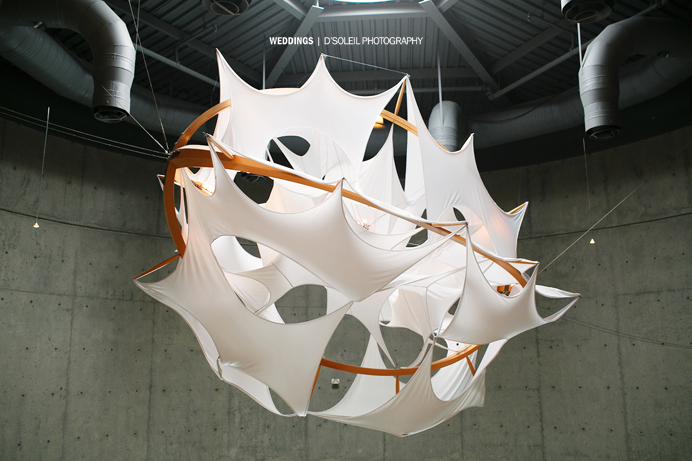 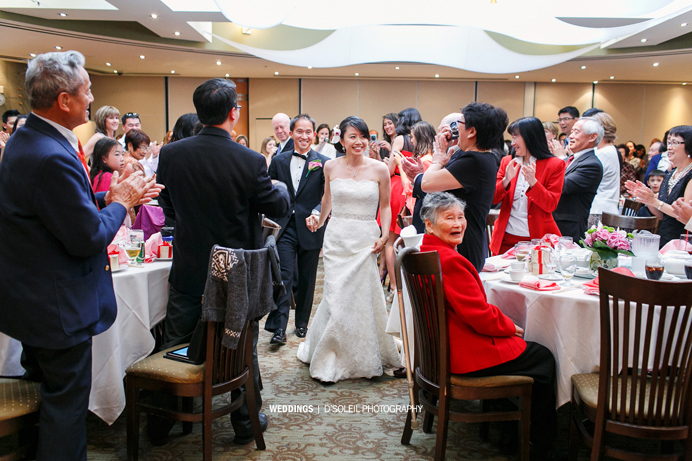 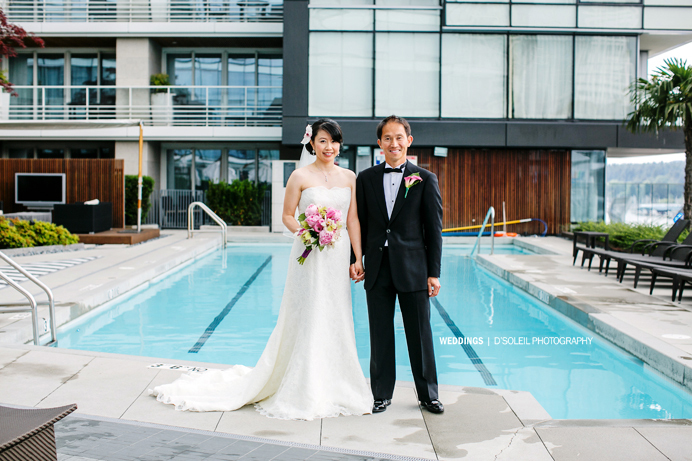 Their day began at the Fairmont Pacific Rim Hotel, where Karen spent the morning getting ready for the big day. 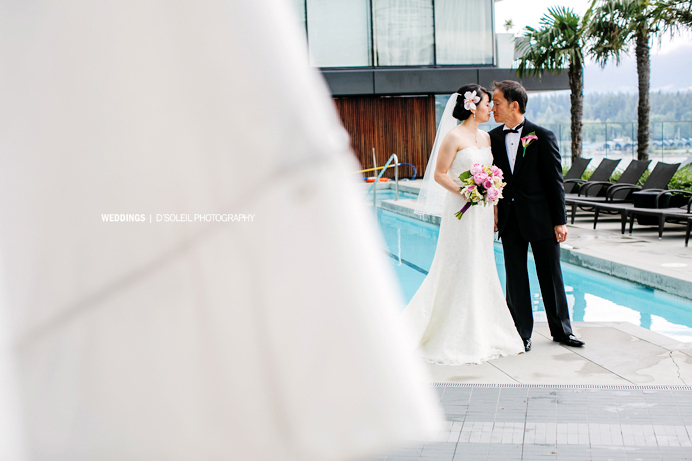 They had their first look at pool side before we scooted off to the Vancouver Convention Centre for photos, followed by a short stop at the “Japadog” food stand along the way to the wedding ceremony. 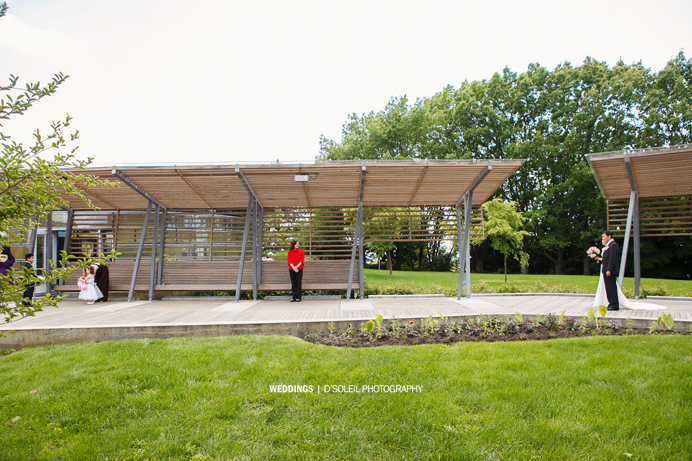 It was a beautiful mild Spring day, and prior worries about bad weather from this past June were quickly forgotten. 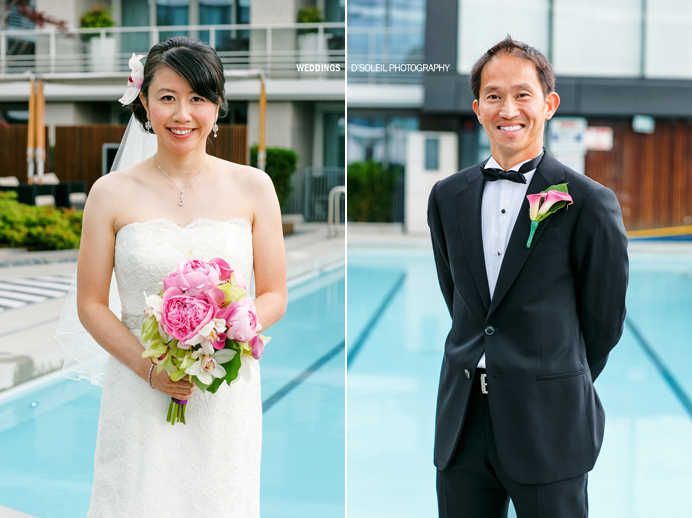 Before leaving for their reception at Sun Sui Wah, there was another short stop at the tennis courts where we took a few photos of Warren + Karen participating in one of their favourite past-times: tennis. 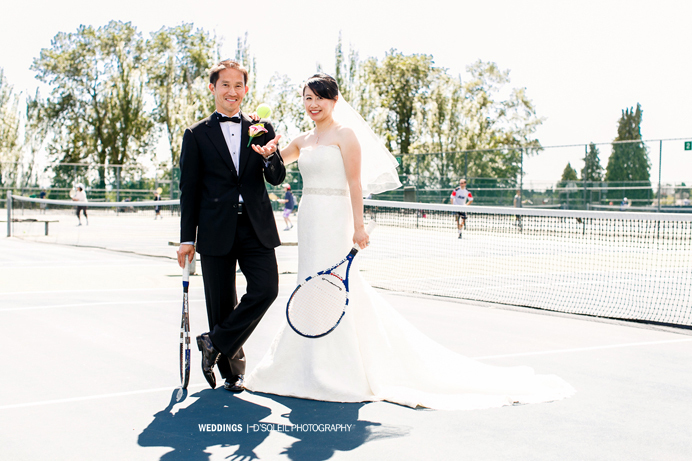 Believe it or not, it’s not the first time we’ve actually photographed a bride and groom at a tennis court on their wedding day, but for this session, Warren was serious about his tennis “serve” for the camera – sorry for the interruption to a few of Warren’s friends who were on the court that afternoon. 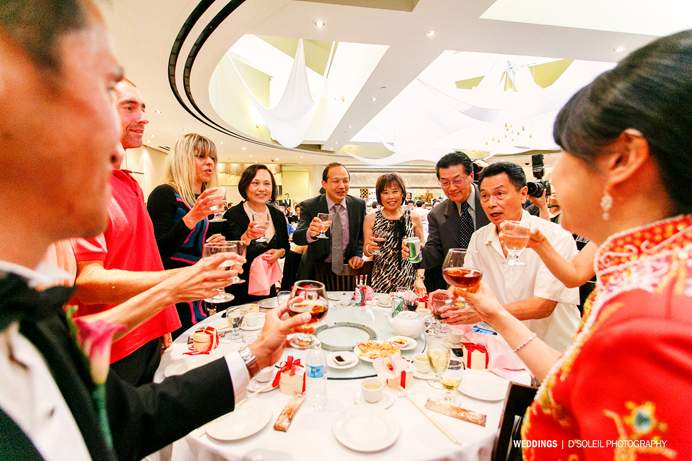 After we got to Sun Sui Wah Restaurant, there was a traditional Chinese tea ceremony before the partying officially began; and boy did it ever take off that evening. 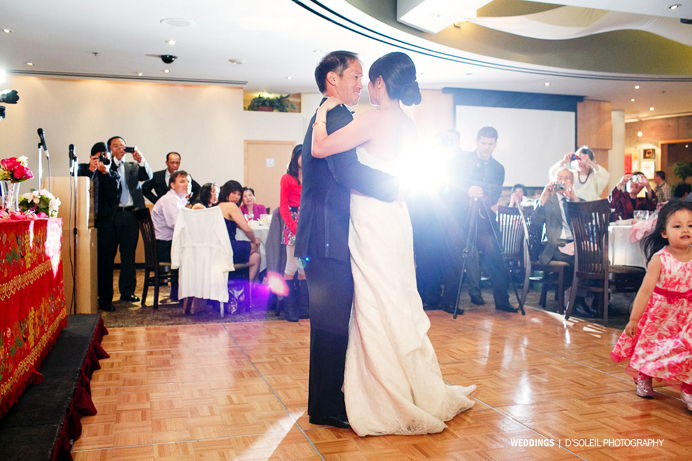 Thanks to coordination work by Lina Dang of The Flower Girl (who also did Karen’s flowers) and Amen Sharma of 2 Scoops Productions (who was both the DJ and wedding MC), once the party started, it was non-stop fun from then on. 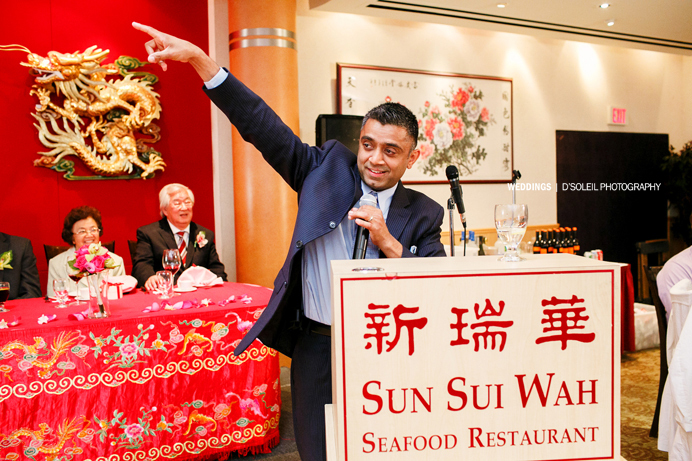 Amen kept the crowd involved all night long with comedy, games, and dance beats, so needless to say, the entire evening was an unforgettable funfest. 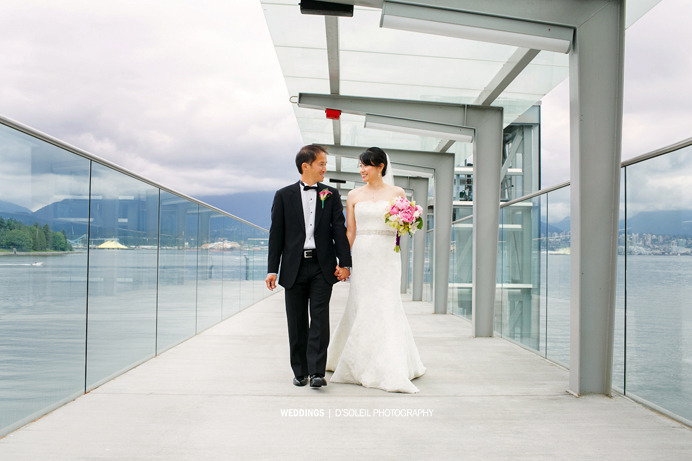 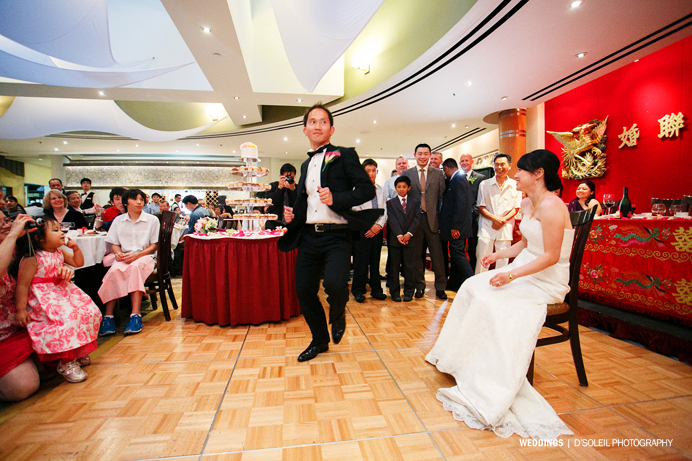 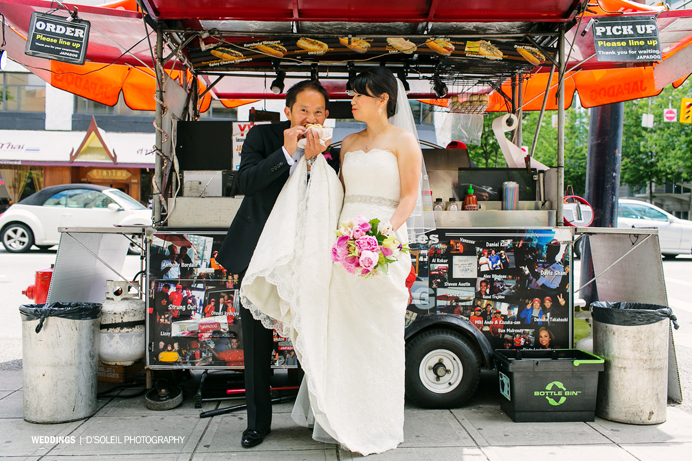 Congratulations Warren + Karen – may you always find each other at Granville Island and may all your tennis serves be aces. 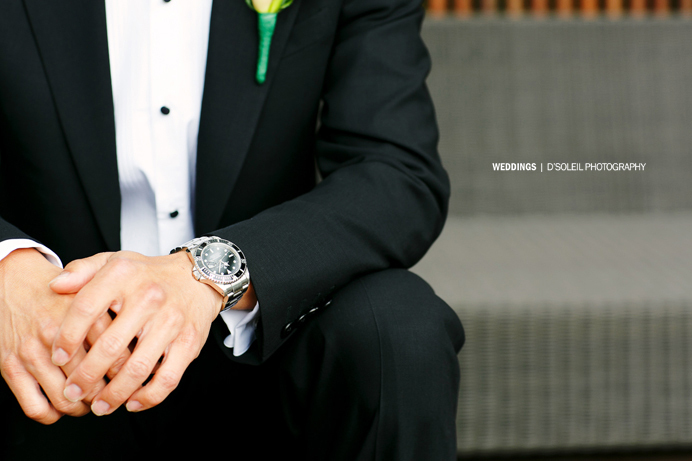 Aww yeah! 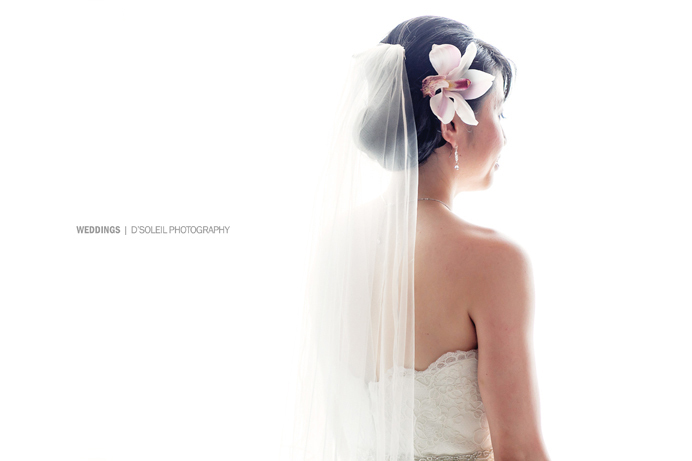 Great stuff and amazing compositions throughout!